The hotel's complimentary shuttle takes guests to and from Aquatica, SeaWorld, and Universal Studios. Features of the hotel include a heated outdoor pool, hot tub, recently updated fitness center and on site restaurants Tradewinds, Callaloo Grille, Wet Rooster Bar, Pizza Hut Express and Grab n' Go. 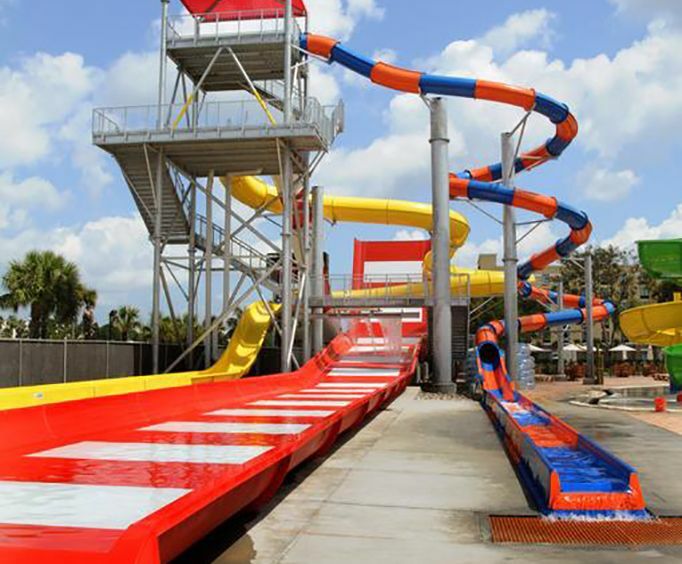 Other nearby attractions include the Fun Spot Family Action Park and WonderWorks Orlando, each only 1.1 miles from the hotel. Staying at Coco Key Hotel makes your entire vacation more convenient and gives you more time to enjoy the things you love. You do not even have to venture out to find the perfect cuisine. With five on-site restaurants, it is easy to find meals to please everyone's palate. The large canopy-covered water park keeps your kids occupied for hours or even days, and you can relax in the hot tub. Even the fitness center is equipped with the most updated equipment for an invigorating workout. Wake up in the morning and enjoy a fresh cup of coffee with the in-room coffee maker or look your best with an iron at your disposal. The fridge will keep leftovers fresh while the room service might just keep you cozy and in for the night. And with complimentary high speed internet you are sure to stay connected without leaving the room. For a little bit of spice, you can enjoy superb Indian cuisine at the New Punjab Indian Restaurant or the Shalimar Classic Indian Restaurant, each one located less than 400 feet from the lodge. 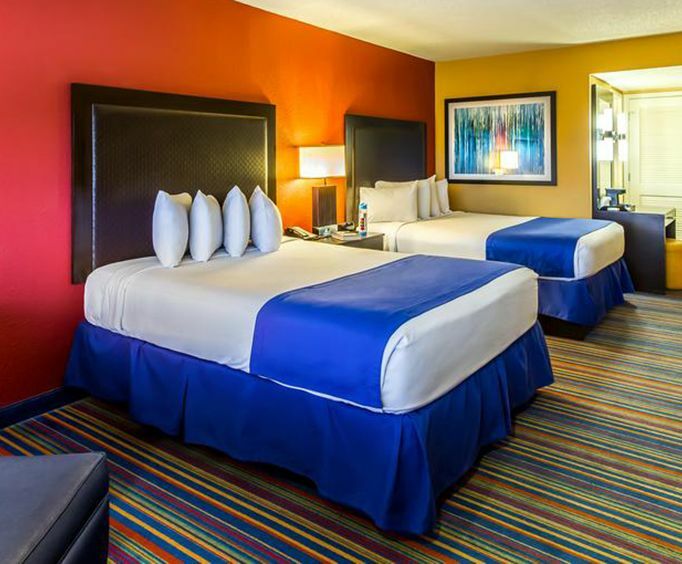 With Orlando Premium Outlets a mere 1.8 miles away, there's no doubt that the Coco Key Hotel and Water Resort-Orlando is the ideal hotel for your next trip to Orlando. Please note: The Coco Key Hotel and Water Resort does charge a resort fee of $22.00 per night at check-in. Great hotel. 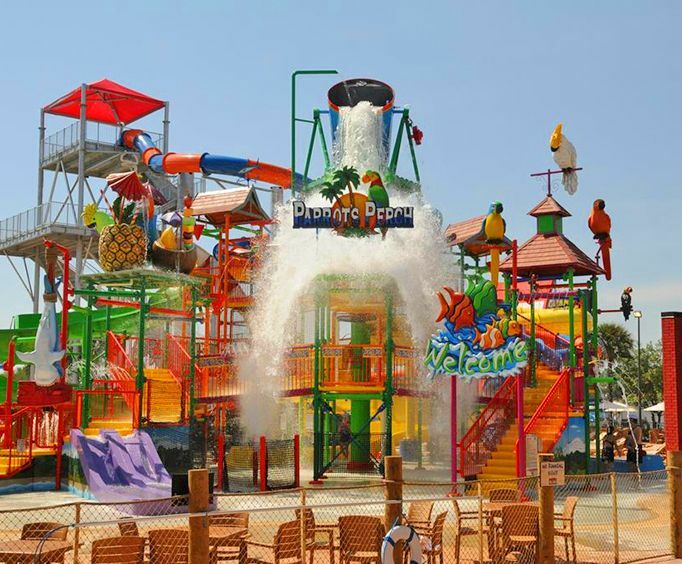 Lots of activities for kids to do from swimming pools, to water slides, arcades. The pizza was awful! Stay away from the pizza! Chuck e cheese, buffalo wild wings, etc.